You'll be £9.99 closer to your next £10.00 credit when you purchase Sea Flight. What's this? Order within the next 29 minutes to get your order processed the next working day! Hugh Popham joined the Fleet Air Arm in the summer of 1940 and was soon in training as a pilot at HMS Vincent and then Yeovilton; thereafter his wartime career as a naval pilot took him to the far corners of the world, notably to the Indian Ocean where he had to contend against the Japanese. His story is one of a naval fighter pilot having to do his best with hopelessly inadequate planes. First the Sea Hurricanes, and then the Supermarine Seafires, proved to be less than brilliant machines, the Seafire proving far too fragile for the rigours of carrier operations. But it is this story, incorporating the kind of detail that is missing from many wartime memoirs, that makes this book so fascinating. 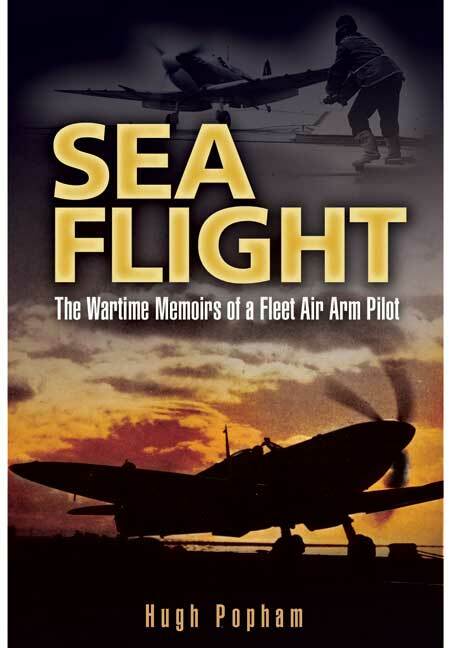 The author joined the Fleet Air Arm in 1940 and here his war years are described with a modest charm so typical of a generation that adapted to their wartime roles with humour, energy and great bravery. Many have followed it but none have matched its ability to draw the reader into the events as they unfolded. And events there are many. In fact, quite aside from the fact that this is a memoir, the book is useful to anyone who wants to get a sense for the enormously rapid and wide-ranging changes to branches of the British military services, to the sheer logistical challenges of ramping up personnel and materiel, and to the evolution of tactics and doctrine. This book was one of the first to be written after the war, whilst still fresh in the author's mind. The author has an easy style which makes it a good read. If you have lost your original copy, get this reprint and read it again as at the price it is great value and a good read.